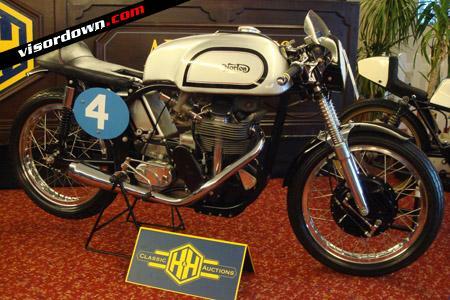 A MANX NORTON sold for £17,000 at a recent H&H Classic auction. The 1960/61 40M machine had been completely restored by Billy McCosh. Another 1947 example went for £8,850. It's such a good looking bike, we thought it was worth a news story! The auction also featured a c1916 belt-drive Triumph 4hp Model H that went for £4,180 and a JAP-engined 1914 Corah that surpassed expectation in making £8,580.